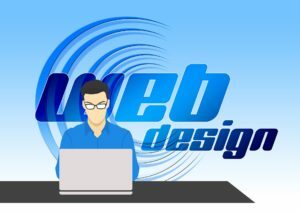 Explore how we can help you with your web design Perth. Here at Aleph IT, we believe that the essence of a successful business comes from a responsive and functional web design. isn’t just that. Your website must be engaging, directive, and user friendly. It must be easily understood by your customers and pique their interest. Whether you are a sole trader or own SME, we can build your website to be holistically attractive and help you get ahead of your competitors. With the increasing number of organisations all over Perth, the competition in the physical world transverse to the online world. Getting the most number of client is the best priority for a business who thrive in an online setting. This is impossible to achieve if one uses the same old and conventional web design. With Aleph IT, you have the freedom to choose from our frontline services. We talk, we plan and we collaborate. We take suggestions and we give recommendations. Our company is home of expert web designers who can give you what you are looking for. From unique to sophisticated and in line with the latest trend web designs we can create it for you. Our IT professionals are knowledgeable on the latest trends such as creating unobtrusive motion graphics and enticing HTML5- based drawings and designs. These are adapted by the most recent pattern of web development. We turn our clients’ vision into reality. We take pride in our team’s elegant abilities and their skills in visioning, arranging, making and creating websites. Aleph IT only have workers who are expert in web realistic planning, interface designing, institutionalized coding, restrictive programming, and even SEO. We can say that we are one of the most updated companies with regards to web designing in Perth. Our employees continuously train, grown and learn new things about web development. They know how to utilize web design tools, particularly raster and vector realistic graphics. As our clients get better ROI for a having a better website, their customers are happy with its ease of use and access. We create responsive websites in Perth. This means that your website adjusts automatically to fit the screen size of any device such as laptop, smartphone, Mac, tablet, and desktop computer. We ensure that all websites are fully tested on handsets and we also customise bookmark icons for each website. Our mission is to market your business to a wider audience. With the help of our expertise in Web Design and SEO marketing Perth, you can expect a quality, efficient website and a positive ROI. With Aleph IT, you’re in good hands! Call us now and experience firsthand our excellent web design Perth that will make your business stand out among the rest! This entry was posted in Aleph IT Services and tagged affordable web design, best responsive web design, best web design, web design responsive.